The world of SEO is gaining momentum with advanced developments taking place. Being the hooks to hunt for fishes, the keywords are considered optimum for quality deliverables. Thinking as to how? As per SEO Company Sydney, keywords hold importance because they are the search words for web users that type them in the search engines. In fact, it turns out to be a hurdle in the race for business as many companies might not know the ways of proper placement. Here, the world of long tailed keywords will be unfurled in various stages. 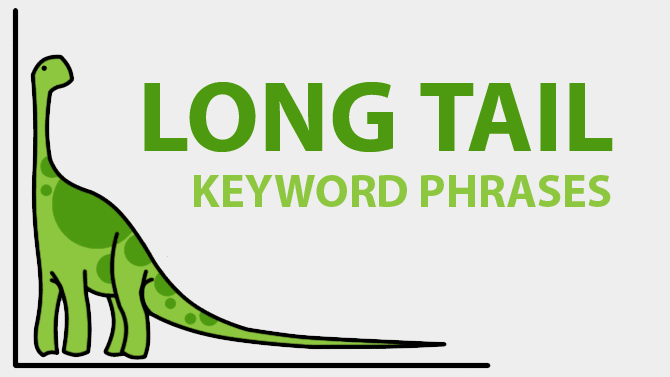 First of all, there is a need to know the world of long tailed keywords. They are said to be phrase formed keywords that are generally searched by the users in search engines. At times, users tend to type longer details in the search engine to locate particular information in around 5 to 7 words. What is the usage of it? It is with the aim of clarifying research requirements that long tailed keywords are used. Moreover, web designers and developers are adapting to the change and even content writers are formulating content pieces as per long keywords. Probably, the most beneficial aspect of such keywords is that they are intended to make searches quick. When a user requires the exact piece of information, they use a group of words expressive in general blogs and forums. In this manner, the companies consider the factor of promoting products or websites with the possible phrased keywords. For this purpose, it is mandatory for the company to pay attention to the trends on-gong. Definitely, they should carry out a market research. Followed by this, a proper research about the keywords decided needs to be done to find the existing information on the web world. This will give an idea about the content already present with other companies or likewise. In the wake of making preparations to promote the website, it is mandatory for the SEO Company Sydney to explore the kind of social media language relative to product or service to be introduced. So, the content should be prepared in such a manner that the relativity between product and prospective customer should develop on the immediate basis. After all, it is the matter of creating a wide market that allows companies to get in touch with profitable decision makers. And finally, analyzing market scenario is extremely important as it provides an extensive platform for the person to enjoy market goodwill. Moving in this direction, there is a necessity for the company to question their relativity factor of the product or service and how to make it popular in one shot. These days, people are bored of stale content and keep looking for detailed options. So, the process of preparing website in accordance with the proposed keywords by the users will definitely bring fruitful results. Platinum SEO Services is one such company that has been working on this platform extensively to meet client needs. Certainly, promotions with the aim of quality deliverable have motivated the experts.